The Parts Department at Glassman Kia maintains a comprehensive inventory of high-quality genuine OEM parts. Our highly knowledgeable staff is here to answer your parts inquiries. Should we not carry a part for which you’re searching, we can always order it for you and receive it within a timely manner. 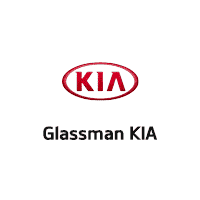 Glassman KIA in Southfield is also the place to go when you need to find quality Michigan KIA parts to use for your at-home maintenance and repair work on your vehicle. We understand that the integrity of the KIA parts that are used for do-it-yourself projects plays a directly role in the outcome of your project, and we provide OEM parts that are superior to the aftermarket that you may find at other parts stores around town. Our parts are produced by the same companies that made your vehicle’s original parts, so you can feel confident that your efforts may restore your vehicle to like-new condition. You may place an order for KIA parts online.